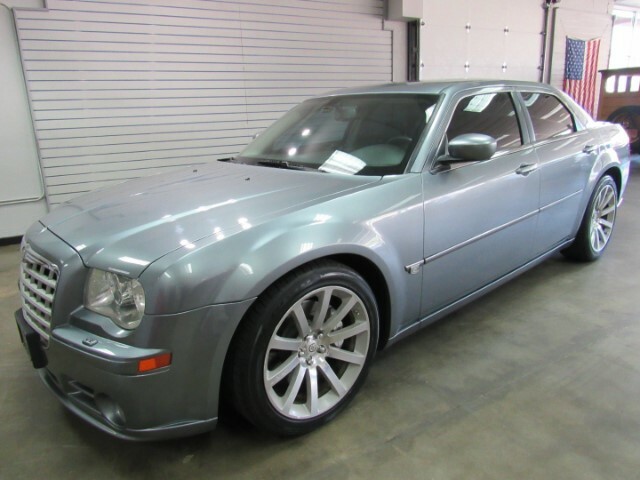 Used 2006 Chrysler 300 C SRT-8 for Sale in Denver CO 80220 Weisco Motorcars, LTD. VERY LOW MILE 2006 Chrysler 300C SRT8 with only 47k miles. Done in Grey over Black leather with nice options like: sunroof, keyless entry, power seats, heated seats, power windows, CD player, and much more. Both the inside and outside of this SRT8 are in very nice shape plus has not been smoked in. Call Weisco Motorcars for more info or to set up a time to stop by for a test drive. VISIT US AT OUR SHOWROOM LOCATED AT 7000 EAST COLFAX Ave! Feel welcome to ask us for a Carfax Vehicle Report with buyback guarantee. Financing available from 2.24% wac. Terms of 24-84 months plus leasing available dependent upon vehicle and credit factors. Many of our vehicles qualify for extended service contracts--please ask for more information if interested. Visit WWW.WEISCOMOTORCARS.COM for more information and pictures. Terms of Sale & Auctions for all vehicles sold at Weisco Motorcars • We strongly encourage inspections before purchasing to avoid any misunderstandings or representations. • All used vehicles should be assumed to have some degree of wear. No Vehicle is perfect for everyone. Despite our efforts to verify a vehicle's mechanical condition; we are not able to warranty a manufacturer’s workmanship or previous owner’s diligence in care or use. Weisco Motorcars does sell all vehicles "AS IS". We have described the above mentioned vehicle to the best of our ability. However, with all pre-owned automobiles, the condition is subjective. Please be advised that no oral or written statements concerning any vehicle constitutes a representation or warranty of the condition of the said vehicle. • We will not hold a vehicle for you without a $1000.00 non-refundable deposit. If you want the vehicle give us a deposit to hold it for you. • Unless we have some documentation we always sell classic cars as mileage exempt. That means we do not know the original miles. What we list in the ad is what the odometer currently reads or is based off rebuild information of the engine and or body/chassis. • Advertised price includes D&H of $298.50 paperwork fee / dealer handling fee. The D&H Fee will include a 60 day temporary tag for vehicle use. • All sales are plus Sales tax, title fee, E-test • All sales are final with car being sold where is, as is. • All above terms and conditions are applied to vehicle sales, whether through E-bay or otherwise. We ship nationwide. Please call or email for information about delivery and shipping options. Flying to Denver via DIA airport? We will be happy to pick you up! Message: Thought you might be interested in this 2006 Chrysler 300.